To claim this profile, please confirm you are Ruth Reyes. To follow this profile, please let us know your relationship to Ruth Reyes. RESULTLoss Girls varsity basketball vs. Bell. The George Washington Prep varsity basketball team lost Wednesday's neutral playoff game against Bell (CA) by a score of 55-31. This game is part of the "CIFLACS Girls Basketball Playoffs - Division III" tournament. RESULTWin Girls varsity basketball @ Stern. The George Washington Prep varsity basketball team won Saturday's away playoff game against Stern (Los Angeles, CA) by a score of 45-41. The George Washington Prep varsity basketball team won Thursday's home playoff game against Triumph Charter (Sylmar, CA) by a score of 60-12. The George Washington Prep varsity basketball team lost Friday's away conference game against King/Drew (Los Angeles, CA) by a score of 52-23. Girls varsity basketball @ Port of Los Angeles. The George Washington Prep varsity basketball team lost Monday's home conference game against King/Drew (Los Angeles, CA) by a score of 52-24. The George Washington Prep varsity basketball team won Friday's home conference game against Jordan (Los Angeles, CA) by a score of 68-15. The George Washington Prep varsity basketball team won Friday's home conference game against Port of Los Angeles (San Pedro, CA) by a score of 57-21. The George Washington Prep varsity basketball team won Wednesday's away conference game against Jordan (Los Angeles, CA) by a score of 48-14. Ruth's basketball stats have been updated for the loss vs. Gardena. RESULTLoss Girls varsity basketball vs. Gardena. The George Washington Prep varsity basketball team lost Monday's neutral non-conference game against rival school Gardena (CA) by a score of 61-49. Ruth's basketball stats have been updated for the loss @ Harbor Teacher. RESULTLoss Girls varsity basketball @ Harbor Teacher. The George Washington Prep varsity basketball team lost Friday's away conference game against Harbor Teacher (Wilmington, CA) by a score of 50-14. 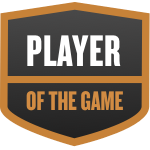 RUTH was selected the Player of the Game in the basketball game against Dymally on Wed, Dec 05 2018. Ruth's basketball stats have been updated for the win vs. Dymally. The George Washington Prep varsity basketball team won Wednesday's home conference game against Dymally (Los Angeles, CA) by a score of 97-12. Ruth's basketball stats have been updated for the loss vs. Compton. RESULTLoss Girls varsity basketball vs. Compton. The George Washington Prep varsity basketball team lost Friday's home non-conference game against Compton (CA) by a score of 60-38. Ruth's basketball stats have been updated for the win vs. Manual Arts. Transfer this season...Natural point guard with great court awareness...Makes others around her better...Very coachable.